Finally, Xiaomi has launched its Gaming laptop on 27 March 2018 in China. The features which make the laptop unique is its design. This laptop can also be used as office laptop because of its simple and unique design and when you want to play the game just switch on the keyboard LED lights. The dimensions of the laptop are 364mm in width, 265.2mm in height and 20.9mm in thickness and the weight of the laptop is just only 2.7kg which is lighter weight as compared to other gaming laptops. The aim of Xiaomi is to provide professional level gaming performance at affordable price. 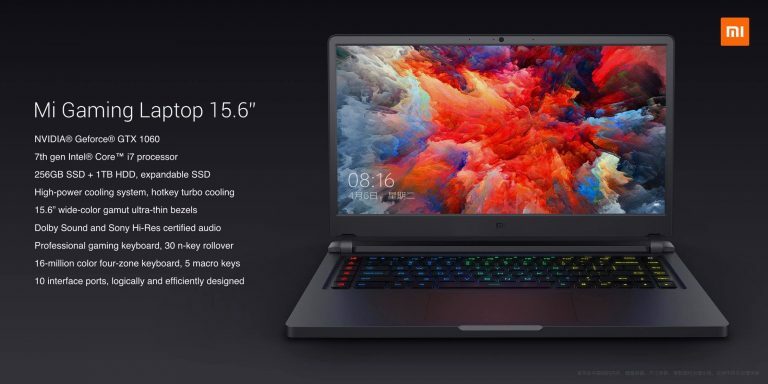 The Xiaomi Mi Gaming Laptop comes with 15.4 inches Full HD (1920 x 1080 pixels) IPS LCD display with a metallic body.The laptop runs on Windows 10 operating system and powered by the Intel 7th gen Kaby Lake Core i7-7700HQ processor with 16GB RAM with the combination of 256GB SSD and 1TB HDD. The graphics are powered by NVIDIA GTX 1060 GPU having 6GB Gaming RAM. 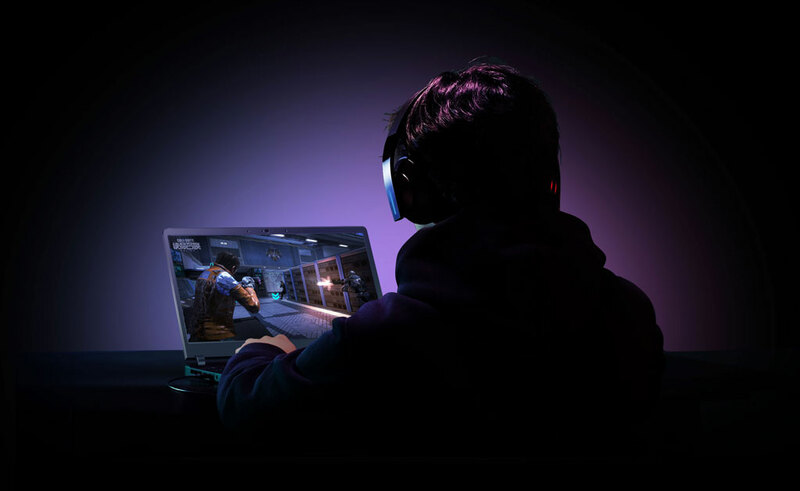 Similarly, for the entry-level model has Xiaomi provides the Intel i5 7300HQ chipset with 8GB RAM with the combination of 128GB SSD and a 1TB HDD and the graphics are powered by the NVIDIA GTX 1050 Ti GPU. To make protect this device from heating all the time, the laptop is equipped with 3+2 design heat pipes with 04 fan outlets for effective heat dissipation when gaming and give proper management of heat and the tornado cooling key is given in this gaming laptop that cools the laptop by up to 05 degrees in just a minute. The laptop has a full-sized keypad with some extra key like tornado cooling, LED On/Off and etc, food. The Mi Gaming laptop comes with a professional gaming keyboard which supports 16M colours over four zones. 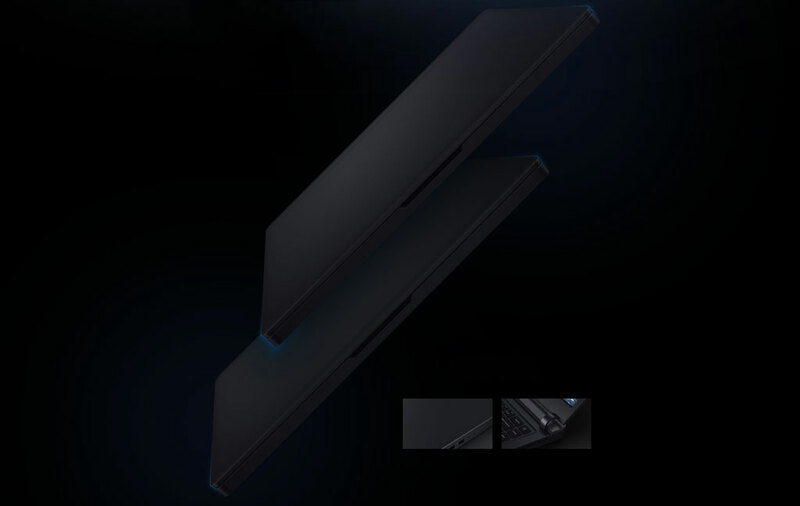 The speaker of Mi Gaming Laptop is Dolby Atom and Sony High-resolution certified. Additionally, the laptop offers 04 full sized USB 3.0 port, 2 USB type C ports, HDMI port and a 3.5mm standard universal headphone jack. When will it come in India? Xiaomi hasn’t yet provided any information regarding its launch in India. If we found any confirmation with Xiaomi we will inform you. The variant of Intel Core i7 with 16GB RAM, Nvidia Geforce GTX 1060 GPU, 256GB SSD and 1TB HDD of Mi Gaming Laptop will be Priced 8999 RMB (Rs. 93,000 approx). The variant of Intel Core i5 with 8GB RAM, Nvidia Geforce GTX 1050 Ti GPU, 128GB SSD and 1TB HDD of Mi Gaming Laptop will be Priced 5999 RMB (Rs. 62,000 approx). Nahi ye OC edition graphic card nahi hai means factory overclocked nahi hai.